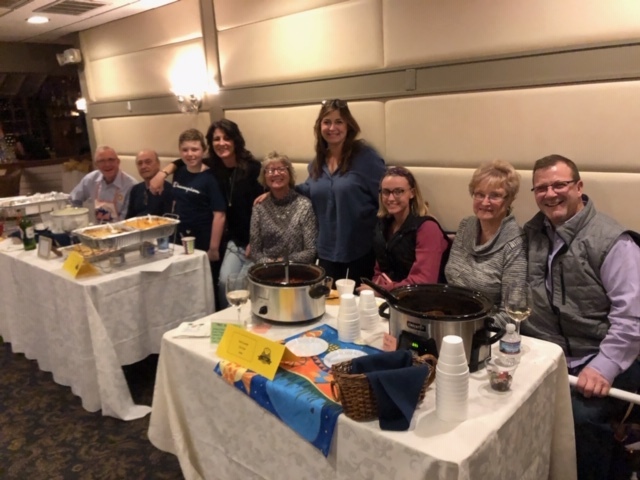 Sunday evening at the Captains Inn, members of our club and some of their friends channeled their inner Julia Child and put together some amazing food samplings at our Annual Chefs Night Fundraiser. Chefs made entries covering five courses including appetizers, salads, soups, entrees and desserts. Attendees sampled the chefs' offerings and were asked to vote for best dish in each category. 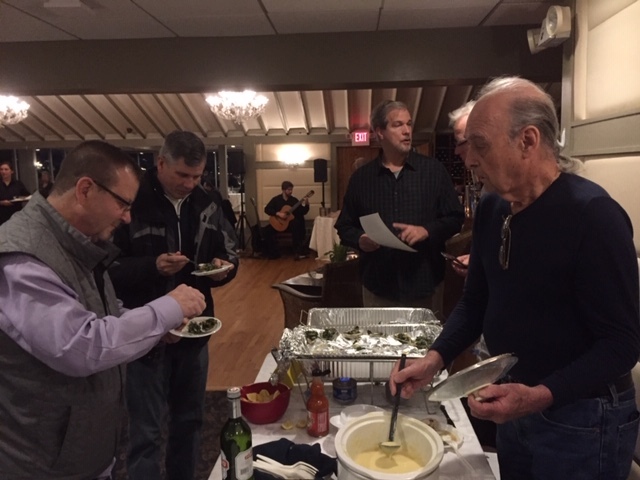 In a very close vote, defending his title from last year Chef Tom McGillick's Oysters Rockefeller won the top appetizer award again. 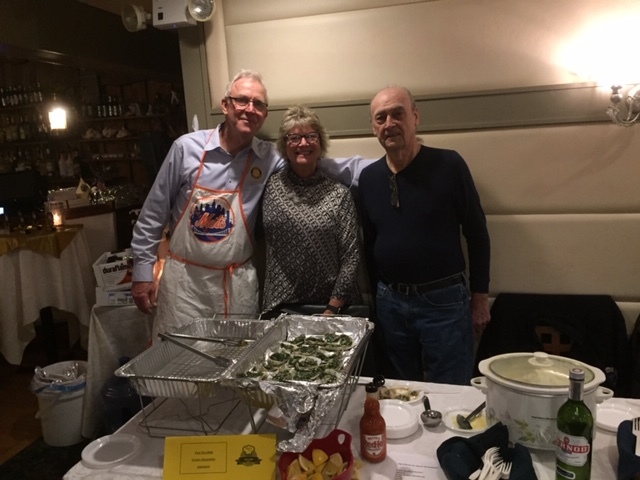 We had no entries in this years' salad category, so we are awarding this years award posthumously to our recently deceased member Peter Avenoso, we know his entry would have been his famous Shrimp Caesar Salad. Defending title of Soup King, Chef John Sauer's Loaded Baked Potato Soup won in our soup category. 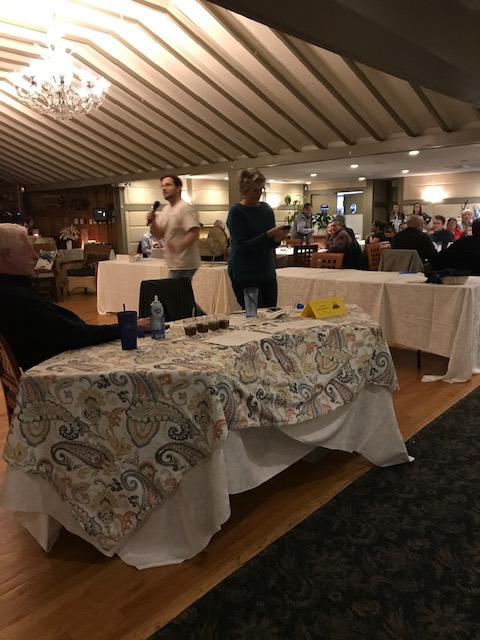 Congratulations to Rebecca Palamara for her Entrée dish of lasagna, knocking off last years Entrée Champ Tony Angona's Stuffed Loin of Pork. 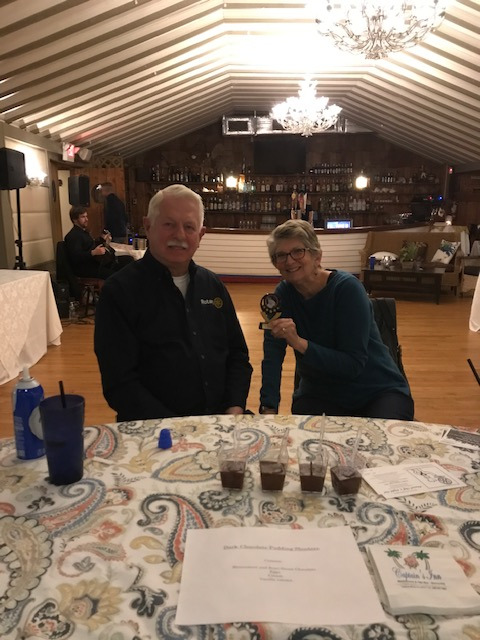 This years Top Dessert Award went to Linda & Ed Kostrowski for their entry of Dark Chocolate Pudding Shooters. We also held the raffle drawing for our New York City VIP Experience on May 18th, which included roundtrip limousine service with a stocked bar & gratuity, donated by Pro Car and Limo of Forked River, 2 Orchestra level seats to see the play "Pretty Woman" on Broadway, Dinner at Del Frisco's SteakHouse and a $50 Visa Gift Card. The winner of the trip is John and Joy Kubilewicz of Pine Beach. Enjoy the day in New York City! Thank you to everyone that attended, our event committee, club chefs and guest chefs for a great night of fun, great food and fellowship! Time to start working on next years dishes!